With other car leasing services, you’d be lucky to find more than a very few different types of vehicles made by an even fewer different manufacturers. Things sort of have to be that way with other car leasing companies because those companies have car lots that can only park so many cars. We’re different in that we don’t have a physical car lot; instead, our car lot is online, in the virtual world. Our virtual lot can theoretically fit every single car ever made. As things are, though, we’re able to offer you any new model car made by Acura, Audi, BMW, Buick, Cadillac, Chevrolet, Chrysler, Dodge, Ford, Honda, Hyundai, Infiniti, Jaguar, Jeep, Kia, Land Rover, Lexus, Maserati, Mazda, Mercedes-Benz, MINI, Mitsubishi, Nissan, Porsche, Ram, Subaru, Smart, Toyota, Volkswagen, and Volvo. 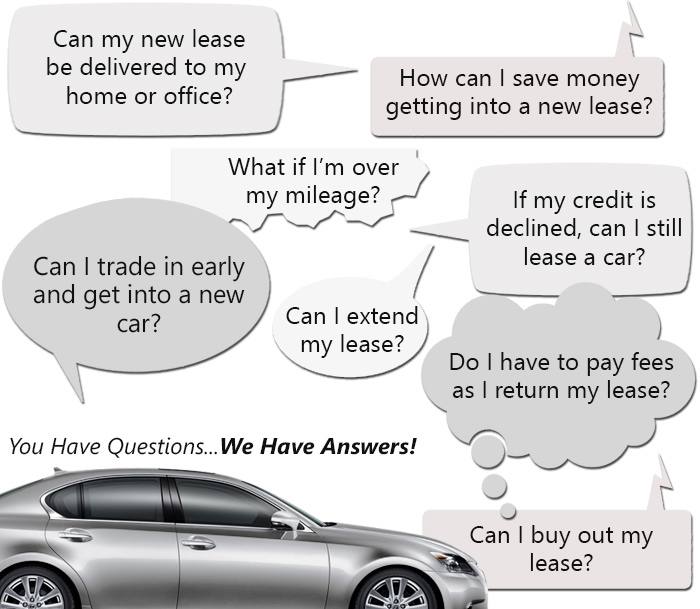 Whether you’re wanting to lease a car (whether a coupe, sedan, convertible, etc. ), a van or minivan, a truck, an SUV or other off road vehicle, we have the perfect vehicle for you. Having a virtual lot also means our overhead is a lot lower than that of other car leasing agencies. We don’t have to worry about things like property costs, property taxes, utilities, insurance, payroll for the people who staff car lots. In other words, our way of doing business is a lot more cost-effective than the way other leasing companies do things. We save a lot of money, which allows you to save a lot of money when you lease! When you lease from some other car leasing agency, the first thing you have to do is worry about how you’ll arrange to drive to their lot. Once there, some salesman will follow you about, breathing down your neck, rushing you along, and doing his dangedest to get you to lease something as quickly as he can get you to. But you won’t have to worry about high-pressure sales techniques when you lease from us. And you won’t have to worry about arranging rides, either. Instead, you relax in your own home, turn on your computer, and take all the time you need to tour our virtual inventory all online. You can car shop at your own pace any time of the day or night, any day of the week, even on holidays. You’re the boss of the car leasing experience when you deal with us, and you’ll find that car shopping simply can’t get any more convenient and relaxed. Though we won’t have some salesman shadowing you, we’re always there if you need help or have any questions! All you have to do is give us a call and we’ll be ready with the answers! When it comes time to think about financing, we’ll have your back then as well, working directly with banks and other lenders to make sure you get a really great deal that you’ll be happy with. Great terms, low interest rates, and low monthly payments are what we work hard to make sure our customers get, and we’re good at what we do! You’ll love how you won’t even have to worry about arranging a ride to go pick up your car when the day comes for you to drive it! You’ll have no worries because we’ll bring your new car right to you instead! Whether you want it delivered to your home, office, favorite coffeehouse, or most anyplace else what’s convenient for you that day – it’s all the same to us! We just want you to feel spoiled! If you have any questions for us, just ring us up at 347-897-5225 and let’s talk! We’re positive that you won’t regret leasing from us. How could you when we have the largest selection of vehicles for you to choose from and the very lowest prices around, all while offering you the most convenient car leasing experience possible and great customer service?